Earlier, I was reading a book on Otto Dix and his experiences in the First World War. I had a doodle I’d started yesterday with swirls of red. I looked at it after reading the book, and saw a man in desperate fear within the swirls. I tried to turn what I saw into what you see. 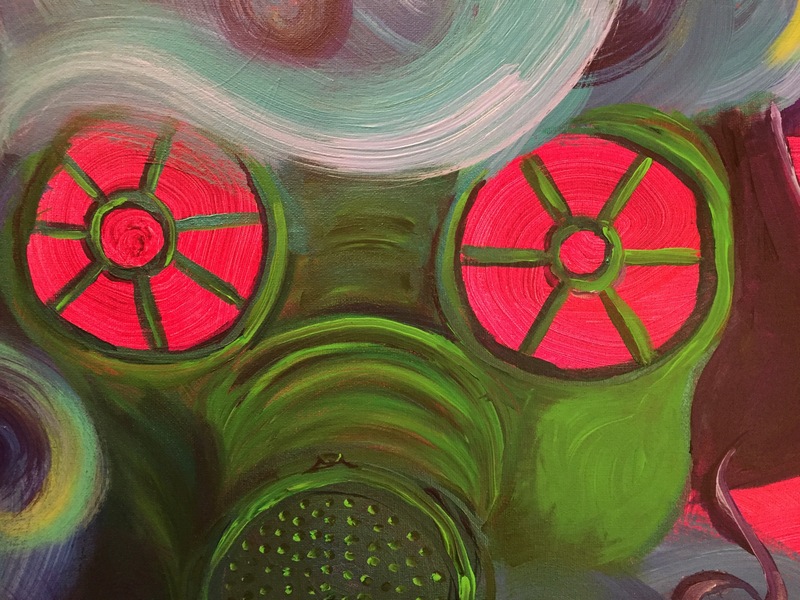 I kept the eyes I’d seen in the red swirls and put them behind the mask of the man advancing in a cloud of poison gas. Although it’s what I call a filler piece, until I get my next big idea, I wanted to convey raw, unsettled emotion; fear, creepiness, the hopelessness of war, and so on. This entry was posted in Art, for sale, local art, painting and tagged acrylic, art, artist, dix, local, painting, poison, war, western front, world war. Bookmark the permalink. I think you did a great job portraying what you set out to today. I think it largely has to do with your color choice! 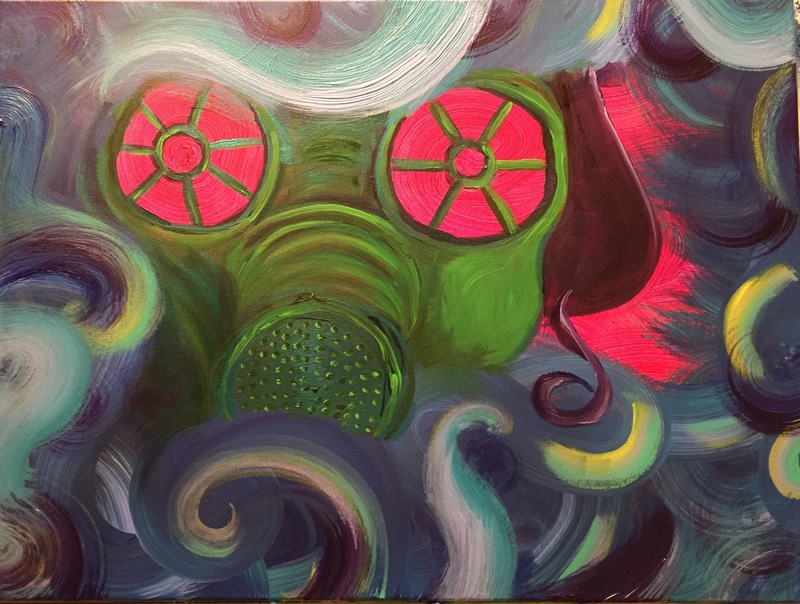 I love the contrast of that green with the glowing reddish pinkish eyes on the mask surrounding by swirls of the grays and blues. Very unexpected but works so well.